In truth, there are literally thousands of different redness on face causes that can affect men and women of all ages. However, when a case of chronic redness or rosacea becomes detrimentally life-affecting, it’s time to take affirmative action. Just a few of the most common redness on face causes include excessive exposure to sunlight, consumption of alcohol, stress and anxiety, issues with blood pressure, use of certain cosmetics, a variety of prescription medicines and many underlying skin conditions. Most cases of redness of the skin are not considered dangerous or harmful, though it’s important to consider the probable redness on face causes to rule out any health problems that may need to be addressed. 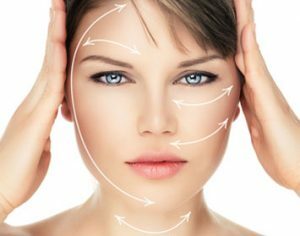 HSA Dermal Clinic is proud to offer an extensive range of advanced treatments for redness of the face, combining cutting-edge technology with the most sophisticated techniques to make an immediate and lasting difference. Contact a member of our team today to book your obligation-free consultation. Redness of the face – also referred to as rosacea – is a common condition, affecting the lives of thousands of people across London and beyond. But what most fail to realise how today’s most advanced redness treatment options could immediately and in some cases permanently eliminate the problem. Specialising in state-of-the-art redness treatment technologies for patients in London and Surrey, HSA Dermal Clinic takes contemporary cosmetic treatment to an entirely higher level. We use clinically proven IPL and laser technology to penetrate deep below the surface of the skin, targeting the root cause of the problem with pinpoint precision. Our holistic treatments and skin-care solutions are tailored uniquely for each and every client we work with, enabling us to provide the most capable and affordable redness treatments in London without exception. For more information or to discuss your requirements in more detail, contact our team or visit our clinic in Richmond upon Thames anytime.